During my VDI projects with VMware View, it’s inevitable to reach a point where the customer asked me: Should I use SYSPREP or QUICKPREP ? Take some time to understand the differences between them. For a quick reference I’m putting the table bellow. Seems the most relevant question is raised about the change of the SID. My best advice is, test each one of them on your own environment with your own applications. Some applications could be designed to rely on SIDs to identify the machine on the network or to perform some other operation. 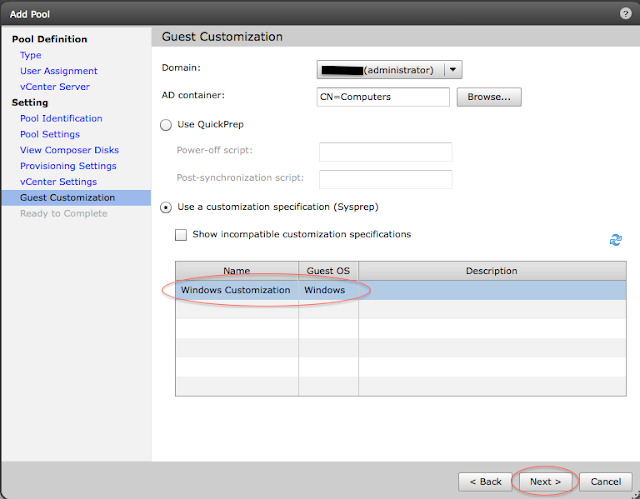 When using Quickprep to create your pool of Full VMs or Linked Clones VMs, on the Guest Customization screen you just need to select it and go ahead with the wizard. When using Sysprep to create your pool of Full VMs or Linked Clones VMs, on the Guest Customization screen, you might not be able to proceed, because the NEXT button will not be available after you chance to Sysprep. That’s because you need create a Sysprep customization file first. Once it’s done, you can go back to the pool creation and after selecting the customization answer to be used with Sysprep, you will see that the NEXT button is available and you can proceed with your pool creation. 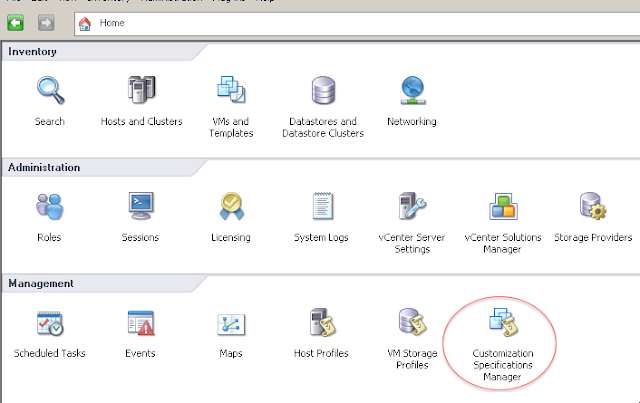 Also, don’t forget if you are creating virtual desktops olders than Windows 7 you need to copy and setup the sysprep files on vCenter..check it out how. I hope it helps you on your VMware View projects. VMware World 2012 is just right around the corner. This year it will take place in San Francisco from August 26th to 30th and in Barcelona from October 9th to 11th. There will be several, if not hundreds of sessions and labs to attend. That will be awesome. Just check the agenda to learn what will be available. 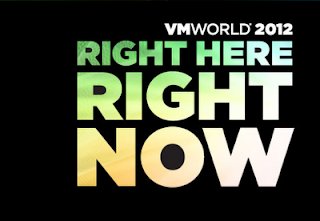 But, at this point, if you did not get an invitation, an sponsorship or could not convince your boss about sending you to VMware World, it’s rarely likely that you gonna make it. So, How could you be part of the event, learn about the most innovation news and products on this area ?!?! The answer is easy, REMOTELY !!!! 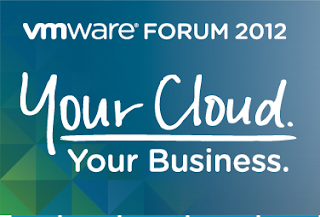 VMware provides a live experience through a web site, so, if you could not make it, access the Experience Live portal to check shared live feeds, videos, photos, tweets and event coverage from the conference. 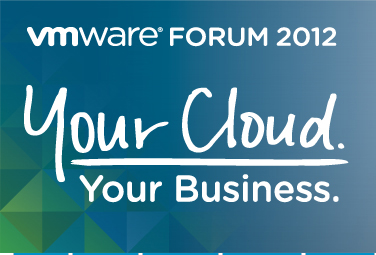 There’s also VMware Now which will provide a digital experience for products announcements demos and more, once you registered, you will start receiving links for the events. 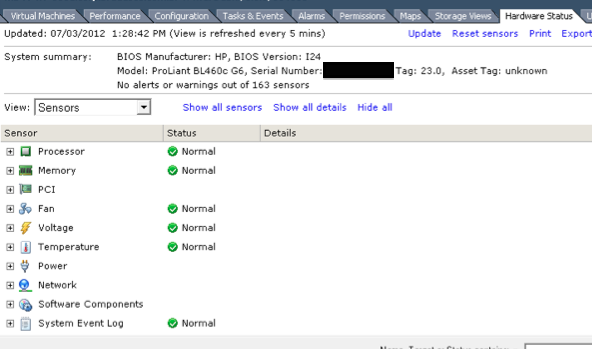 I don’t have to tell you how critical is to monitor the hardware health of your ESXi hosts, right ?! To avoid any disruption of services and be able to, proactive, remediate any situation before it get’s ugly, will depend on the visibility level of the host’s components. I remember the old days, when to monitor the hardware health of your host you would just install an agent on the host. Yes, these days are gone, with ESXi there’s no more console, so no more agents running on top of it. But, VMware did not let’s down, they had provided a new way of monitoring our hosts. 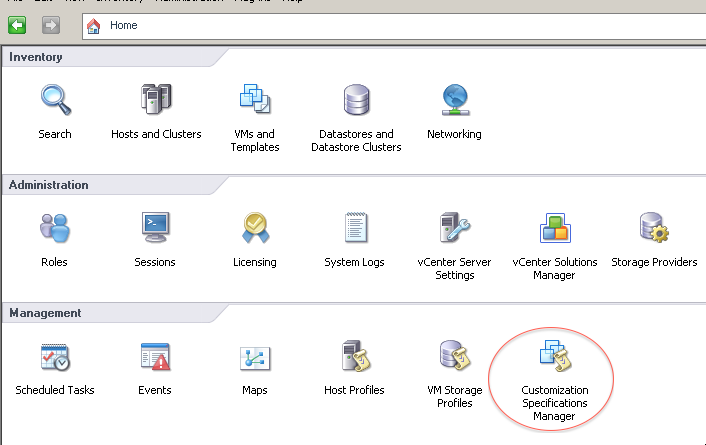 It’s based on CIM (CommonInformation Model), that way you can monitor your host directly from vCenter or vSphere Client through the Hardware Status tab. If you are using the vSphere installer provided by vendors like, IBM, HP, Dell, you should be good to go. Those images (ISO) already comes with the CIM providers from its respective vendors. Now, if you are using the VMware images (ISO), they contain just the basic providers and in some cases it cannot identify all the hardware and components that might be installed on your host, also not providing the correct reporting of failures and status that you need. 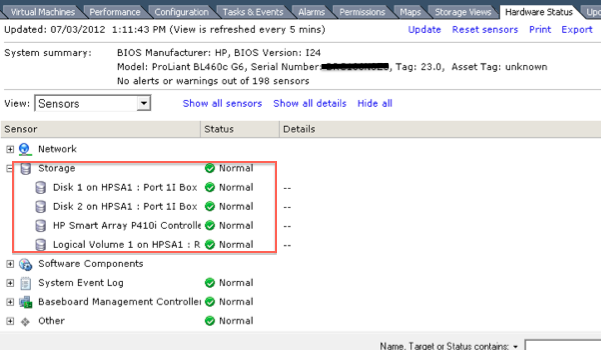 In this case, I know that the HP Proliant has a SmartArray controller. I would like to have the visibility of it and their disks. After installing the HP ESXi offiline Bundle I could finally accomplish that. Do you see the difference now ?!? So, it’s simple as this, you can just install the CIM Providers related to your hardware model and version and those components will appear on the Hardware Status tab. There’s a few ways to install the CIM Providers. It’s the recommended method if you need to update just one or two hosts. Now if you have more hosts to update and do not have UpdateManager, you can use PowerCLI to automatize that. It’s the perfect tool for the job when you have several hosts to update, also if it will be a reoccurring task. - Once you download the CIM provider from the vendor website, you must add it to the Update Manager database, it will be considered as a patch. - Next step is to create a baseline that contains this new patch. - attach the baseline to your datacenter or cluster. Now, just scan and remediate your hosts, the same way you do for your regular ESXi patching activities. One thing I realized during my tests is, if you have installed the vanilla ESXi version (provided by VMware), it might not identify that your host need this patch, not allowing you to install it. If that occurs use one of the other methods above. wow, great way of updating your CIM Providers !! !